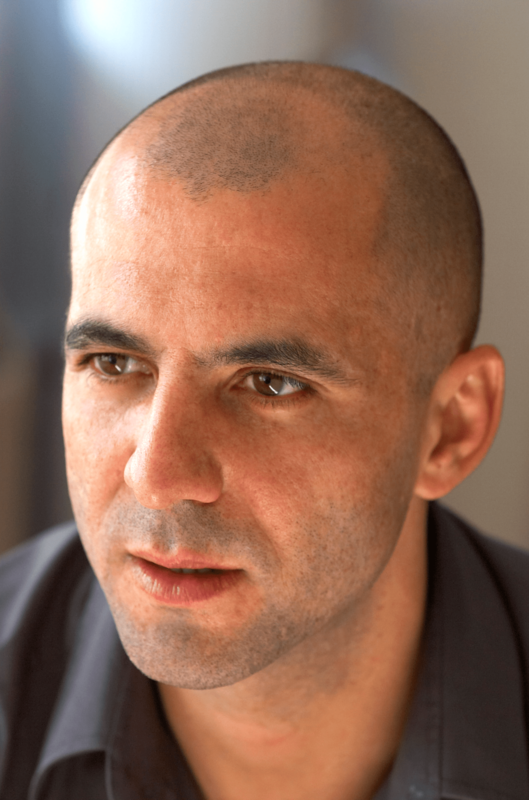 SA-born television producer Gary Reich, 44, sums up his life, career and universe in clipped English. “It’s all good,” the producer of runaway success sitcom Vicious, says. In a visit to SA, to see his mother, veteran performer Annabel Linder onstage in Twilight of the Golds, he spoke to the SAJR, about living in the golden age of television. “Having fled” from South Africa 26 years ago, he still believes in his roots. (A version of this interview appeared in the SA Jewish Report. Owing to space constraints in the print issue, it was not possible to publish the full interview, which appears here). “I’ve been running away for over 20 years from South Africa and the complications that that school set off in me,” he speaks of Hyde Park High School, from which he matriculated in 1986. “Looking at the school gives me mixed emotions; not only because of the gay-bashing terror I experienced while coming out flamboyantly – being Annabel’s son, there was no other way. “I had also politically been woken up at that stage by my rabbi, Ben Isaacson, who galvanised me to be proactive and change my environment. My contemporaries were entirely asleep. The more I kicked against them, the more alienated I became, the more unhappy I was. “It repulsed me to a career and a life that is enormously fulfilling on the other side of the world. But I am also constantly torn by the fact that I took so much from this country. I gained so much from being here and being brought up here and then fled and gave nothing back. Ever. Now, I’m getting committed to the idea of coming back and giving something back to the country. At the Hebrew University in Jerusalem, Reich read English literature, under two Harvard professors who were Zionists. “They reignited my passion for English literature. But the university had a very strict rule: you could only get into your second year if you got exemption in Hebrew.” That was his stumbling block. With the support of his father, he chose to go to Sheffield University. “I majored in English literature and drama and then did a masters degree in poetry and film, there. Those were my passions. I wanted to be a theatre director. All my childhood, I wanted to be a game ranger. That was the plan. But because of Annabel, I was surrounded from a very early time in my life by the theatrical tradition, the people that were in and out of my life. “During my MA I took a show to the Edinburgh Festival: it was a stage adaptation of a narrative poem by Ted Hughes. A tv producer was in the audience. So that was it. “I was 22. I moved to London, and got a job as a trainee scriptwriter for a production company. They had a commission on Channel 4 to do a British version of The Wonder Years (the American version featured Fred Savage). The woman who ran the production company took a big risk and said to Channel 4, if we want to write a show about kids that age, why don’t we give three writers, who’ve never written before, of that age, the commission. That’s what happened. Reich’s own production company, Brown Eyed Boy was formed in 2002. “I’d been working inhouse at the BBC as head of new comedy developments. I started to specialise in new comedy formats, because I found that more interesting and I realised I had a good nose for spotting talent that would become stars: Sacha Baron Cohen was my first discovery in 1997. Three years ago, Reich’s company was bought. “I wanted to expand, but needed a cash injection. I put my company out there. Suddenly Shine came into the picture: It’s a production company owned by Elizabeth Murdoch, Sir Rupert’s daughter. On the face of it, I’m known as maverick, left field, left wing, progressive, anarchist producer. The Murdochs are more right wing; Elizabeth is phenomenally libertarian and a very powerful and impressive human being. I fell in love with Shine’s ethos and culture. One thing led to another; Sir Ian McKellen and Sir Derek Jacobi were cast: two grand knights of the British theatre, who were at Cambridge together, but who’ve never acted together, because they were competitors. The show was initially going to be called Vicious Old Queens. 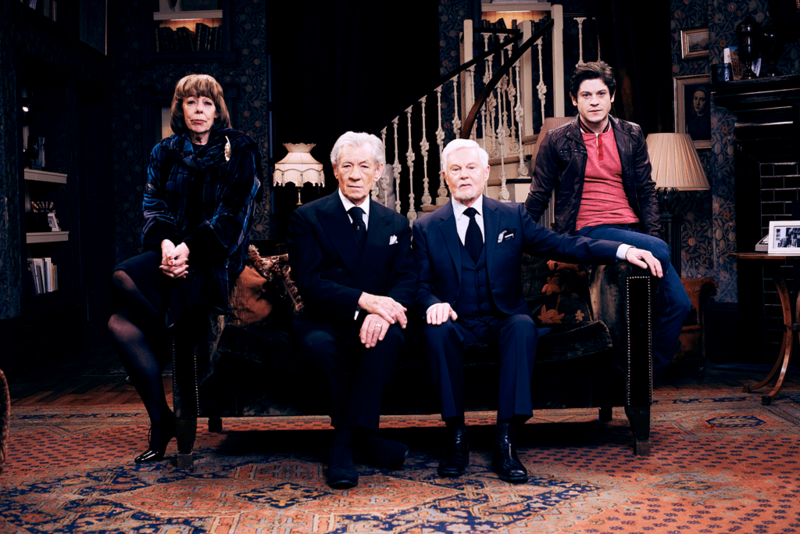 The cast of Vicious: (from left) Frances de la Tour (Violet); Sir Ian McKellen (Freddie); Sir Derek Jacobi (Stuart); Iwan Rheon (Ash). Photograph by Gary Moyes.